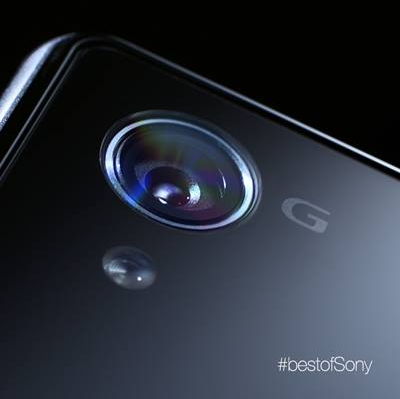 The new upcoming smartphone from Sony, The Sony Xperia Z1, which Sony is marketing with the slogan “Best of Sony is about to Gets Even Better” and awe-inspiring teasers, will be made official next week. This phone is expected to come to India sooner than you might think! The official specs will be unveiled on 4th September, but they are expected to be in line with the leaked specifications which are all over the internet. The phone sports a sleek body design 8.3 mm thick, similar to Xperia Z and is second phone from Sony powered by the Snapdragon 800 beast! 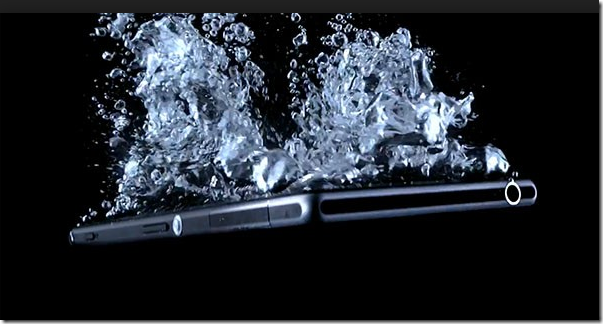 It also comes with much hyped water resist features that we have seen in high end Sony smartphones like Xperia Z and Xperia Z Ultra (Quick Review). Last flagship phone from Sony was way too big. The Slim Sony Xperia Z Ultra came with a massive 6.44 Inch Display which didn’t make sense to many as a smartphone. This time Sony is sticking to the traditional 5 Inch TRILUMINOUS display with Full HD 1080P Resolution. This will give you a pixel density of 441 ppi similar to Samsung Galaxy S4. The display comes with OptiContrast Glass from Sony which eliminates air interface thus reducing reflected light and giving you better outside visibility and enhanced brightness. TRILUMINOUS technology helps generate 50% more colors than traditional LCD. The X-Reality Engine is also present to which analyses each scene and gives it optimum color and contrast. It makes image look sharper and reduces noise on the videos you play on your smartphone. Sony will also provide with a shatter proof glass protection on top. Sony just didn’t put much effort with Sony Xperia Z Ultra’s Camera feature. The 8 MP camera didnt have a LED flash and didn’t match up to what other big names like HTC and Samsung are offering with their flagship device. Well, this won’t be the case with the upcoming Xperia Z1!! This phone comes with a astonishing 20 MP Exmor RS sensor. The Exmor RS sensor is stacked sensor (takes less space) and is back illuminated like the Exmor R sensor from Sony. In Simple terms, This Sensor is highly sensitive and reduces the resolved pixels when you zoom in. The lens used in the camera is the G lens from sony which is equivalent to Carl Zeiss high end lenses seen in Lumia 1020 and 925. Dual LED flash is also present for low light photography. This camera comes with BIONZ image processor and is capable of 4K video recording! The UI will be Cybershot camera UI. A front facing 2 MP camera is also present though its detailed specs are not available now. The battery capacity is 3000 mAh which is pretty good. It comes with Stamina Mode from sony using which you can expand your standby time. This device also comes with IP55/58 dust, shock and water resistance certification. The body is made of glass, metal and carbon fiber. It is equipped with S-Master MX Mobile Audio Amplifier and dual stereo speakers. Connectivity features like 4G LTE, NFC, One Touch Sharing, WIFI Miracast and Bluetooth will be present. This phone presents amazing specification capable of making you fall in love with it. A wonderful display, state or art processing power and astonishing camera specs don’t leave much to say. Sony has never highlighted its camera features before this phone. Finally an android device is expected to sport a camera which can challenge high end Nokia Phones, but that might be going too far. We will wait for the actual camera test results .In India this Phone is expected to be launched on 18 September. The global launch will be on 4th September next week just in time before Apple unveils new iPhone 5S and iPhone 5C.